Last week I heard this song at the ending of the latest Pretty Little Liars episode. I immediatley fell in love with it! A different, unique sound you don’t hear every day. Almost enchanting. The kind of music that makes you happy and sad at the same time. This song has been on repeat ever since then. I even like it so much that I go to sleep later because I just want to listen to this song on more time. And then one more time, and on it goes. The name of the band: ‘This is the kit’ with their song: ‘Bashed out’. Enjoy. 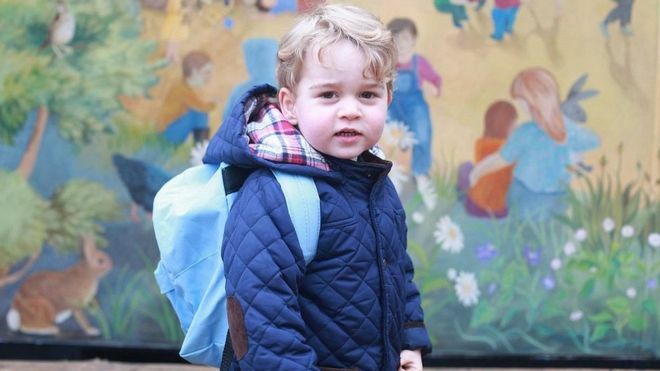 I don’t know what it is, but I love prince George from the UK. These pictures were taken at the beginning of January and are absolutely adorable. He is 2 years old and already good looking hehe – such a cute little man.